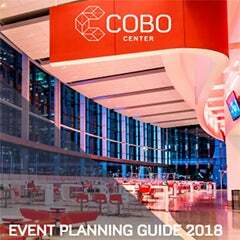 Please join us for a Cobo Cares Event: a live broadcast of the St. Anne’s Sistine Chapel Choir performance on the marquee digital sign at Cobo Square, Friday September 22, 6:00pm -8:30pm. Admission to this event is free. The Choir is performing at Ste. Anne de Detroit Parish on the 22nd and the Detroit Opera House on the 23rd. Guests of the Ste. Anne’s performance at the oldest parish in the archdiocese and second-oldest parish in the United States, were invited by churches, schools and non-profit organizations who serve the metro Detroit area. Sponsors making this special performance possible are Ford Motor Company, Roman Village Cucina Italiana, Ideal Group, Knights of Columbus and the Lakin, Joseph, Rugiero, Roncelli, Mastrangelo and Madison families. 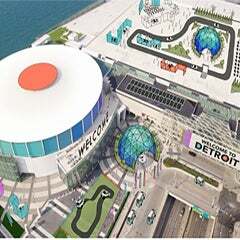 While the concert is fully-committed, the public will have the opportunity to see and hear the live performance on the large outdoor digital boards at Cobo Center or via LIVESTREAM at aod.org provided by the Archdiocese of Detroit beginning at 7 p.m. 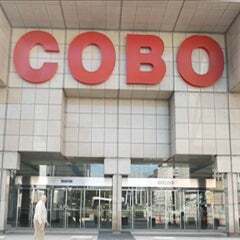 This special viewing at Cobo Center is sponsored by The Moroun Family, The Suburban Collection and Ford Motor Company. The Catholic Television Network of Detroit (CTND) will rebroadcast the concert in October.